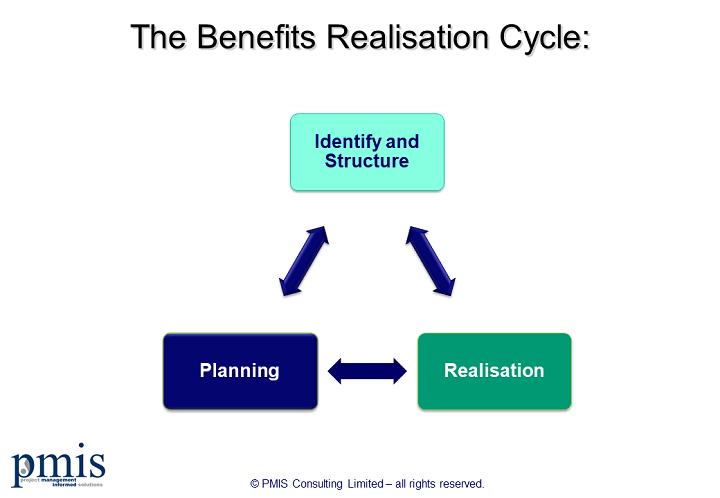 There are discussions on LinkedIn etc around the slow rate of take-up of benefits realisation and why this may be. Some argue the language does not help and may contribute towards the rate of take up. Within these discussions some are suggesting what it could be called, using either new terminology or terminology that is used in seemingly ‘similar’ topics. The most common usually involves the use of the world value. Neither of these proposals or ideas necessarily help. In fact, they can make the matter (of terminology) far worse. Benefits realisation started well over a decade ago as a concept around change/ business improvement programmes and projects. It can also be applied to many other similar endeavours, but will need to be adapted and will always need to reflect (language wise) the context of the organisation where it is being used. Personally, I don’t believe there will ever be a ‘standard’ way of discussing or describing a benefit that fits all possible applications, i.e. private, public and not-for-profit sectors. Here’s part of why we believe this. We have had a benefits realisation course since 2002 and in the early days struggled to settle on a definition of what a benefit is. We were constantly updating the definition and in the very early days this bothered us. We now understand why that was. It’s because the definition of a benefit needs to reflect both the context of the ‘business’ and the strategic objectives they have at the time. Our view is that this definition of a ‘benefit’ published by APM in 2015 (“benefits normally have a tangible value, expressed in monetary terms that will justify the investment”) is completely wrong, as we believe the rest of this post demonstrates. So what is benefits realisation for? Here’s the important point – item 1 usually involves significant investment – items 2 and 3 may involve major investment but by no means have to. Significant changes in working practices (alone) can deliver substantial benefits and don’t come totally free, but they may not require large-scale investment. Some of the best examples to demonstrate this come from the Healthcare sector. Making statements (or even definitions) such as benefits realisation is to “identify the investment outcomes” are technically wrong and a complete misunderstanding of this topic. Moreover, it hinders the understanding of this topic and has damaging consequences. The word investment should be replaced by change – where change may or may not involve a substantial investment. This also gives rise to a major question around only measuring benefits via their financial return or ‘value’ as some suggest. This is also totally wrong. Not all benefits have a financial impact but can still be of great importance to stakeholders. The definition of a benefit depends heavily on the activities of the organisation and what their current objectives are. Value is an economic expression. It is the comparison of benefit something delivers for the resource it takes to achieve. Many have tried to replace the term benefit with the word value (or use them interchangeably). This is really unhelpful. Value (in relation to projects) is only relevant where there is substantial investment being made (when for example ROI is appropriate). Change/service and process improvement programmes don’t have to involve major investment, especially in the not-for-project sectors and therefore trying to even define benefits via by the term value is wrong (and very misleading and confusing). The danger is that when we use the term value we often think too narrowly in the financial sense, which is a huge mistake around benefits planning. If you choose to measure a benefit using any form of financial analysis that’s what it is: it’s a measure. Nothing more. There is also the crossover between this topic and value management. “Value management” is not benefits realisation (it is about balancing the resources you spend to achieve a need). They are totally different topics, which leads to real potential for confusion if we ‘mix-up’ the two concepts – or worse, flip-flop between the two words. Interchanging between the word benefit and value (when we are attempting to refer to the same thing) really does not help. Why? We have been delivering training courses around projects and programmes for over 20 years. That really teaches you the importance of language and how fragile terminology can be, when for example a small group of people all have (even slightly) differing interpretations (or uses) of the same term. Benefits and Value can in many circumstances be very different, and value does not always apply in all circumstances. Our proposal is always when you mean value (e.g ROI etc), say value. When you are referring to benefits, say benefits. The truth is that successful achievement of planned benefits delivers advantages in the broader sense (not just financial) to stakeholders. There is one more crucial point. The language around benefits planning and realisation must reflect the context of the owning organisation and the objectives they have at the time – it is unhelpful arguing on LinkedIn to change the terminology, because it does not fit the application you are used to or are commonly involved in. People don’t find this task easy. One reason for this is that there are subtleties of language around the topic (which will always add an element of challenge that we ignore at our peril). If we are not as clear as possible around language, or if we make mistakes around language, the chances of success are very low, at best. Many different concepts are being confused in (online and other) discussions on benefits realisation. Definitions like the APM’s incorrect definition of a benefit will (and will have already) found their way into Accredited training courses and exams on this topic – the impact of this is potentially hugely damaging. When we are involved in change, language is crucial. It is not a nice to have, to have consistent correct terminology and language. People who have a successful track record of delivering projects will recognise this. If we think the above are not important, the take up of this potentially hugely valuable topic will be damaged and slow.